Lincolnshire Fire and Rescue recently announced a brand new training course on offer at the Service’s unique Waddington training site – a passenger rail operational response course; Mara Schiparo reports. 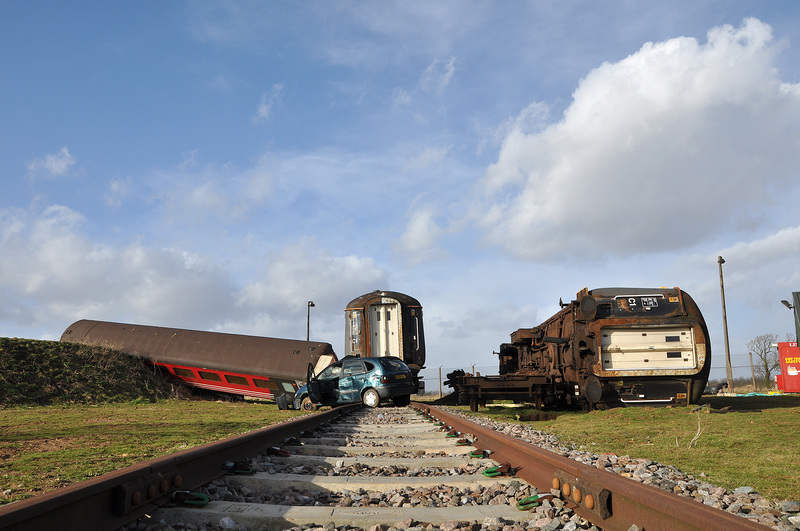 The course, available from September, will provide students with a range of tools and techniques, underpinned by knowledge, understanding and skills development, to enable them to operate at an incident involving rail vehicles in a dynamic environment. Lincolnshire’s Technical Response Manager Spencer Creek said: “Fortunately incidents of this nature don’t occur on a regular basis, but due to their size and intensity, organisation of resources is critical from the early stages. The course will consist of theory sessions outlining best practise and considerations when attending different incident types involving the rail industry, as well as practical sessions wherein candidates will face specific challenges and engineer different solutions to complete various tasks. Careful consideration of case studies will be assigned as home working each day and candidates will be required to prepare a report for presentation the next morning. Examining these case studies will enable a deeper understanding of response to rail incidents through identification of both good practise and potential improvements. On the final day of the course, candidates will undertake a written examination to confirm their underpinning knowledge. Successful completion of the course will enable students to understand the rail infrastructure and operators on it and liaise with rail industry members to assist in resolving an incident. They will also be able to use the appropriate ICS and recognise their role within it, and recognise potential difficulties of approaching a rail-related incident. Candidates will have learned to identify the various hazards and appropriate control measures as well as the appropriate response and resources required for rail infrastructure, and will be able to recognise safe access and egress routes of rail vehicles. They will also be able to demonstrate safe and logical search techniques, appropriate rescue techniques for a range of situations and appropriate extrication of casualties. Plus, the last day of the course provides the perfect opportunity to expand the training to accommodate Tactical Commanders and local resilience forums. In the afternoon on the fourth day, a large scale exercise will be run which presents a scenario requiring operational response at the incident ground and tactical response from other agencies. The course provides excellent value for money, customised training and outstanding resources due to its location at Lincolnshire’s Waddington training site. Waddington is the only site to offer comprehensive training on three rail rigs comprising a carriage that moves on its track, a carriage on its side, and a third on its side on a slope, each with moveable interiors to recreate a variety of scenarios, plus a level crossing. These various set-ups add authenticity and challenge to the training, with the askew carriages realistically replicating the feeling of disorientation and even vertigo likely at the scene of an incident. The course can also be delivered with up to 30 live casualties – a capacity being utilised during the upcoming Exercise Georgiana - and in order to add to the realism of the scenarios, night sessions are also available. Plus, Lincolnshire Fire and Rescue has had a full Health and Safety Asbestos check on all the carriages, resulting in full documentation and clearing. The course also includes hot cutting, and for those without the requisite skills, an awareness and knowledge of how hot cutting can be utilised. Finally, for a reasonable additional cost, accommodation can be provided for those candidates required to travel. Aimed at USAR teams, operational teams with rope rescue reference and technical response teams, the course requires a basic understanding of rope working, although a refresher session covering these skills is included on day one of the course. It is available to operational firefighters, Crew Managers and Watch Managers with an understanding of ICS who are able to use a range of equipment to both supress and control fire incidents and effectively complete rescues. Each class will be made up of at least 12 students and two instructors, with a maximum of 24 students and four instructors and candidates will be provided in advance with an overview of the equipment they will be using on the course. For more information or to express interest, email Business_development@lincoln.fire-uk.org.